Since its inception as a regional lab, CCL Lab has been leading innovation and providing patient-focused lab services. It utilizes state-of-the-art analytical equipment, robust logistical systems, and on-site and near-the-patient testing services to provide rapid, responsive and reliable lab services. CCL lab has experience in processing millions of tests per year and the advantage of providing thousands of tests ranging from Chemistry, Hematology, Immunoassays, Immunochemistry to Molecular Biology. CCL Lab provides pioneering Logistical Systems. As any clinician and laboratory director knows, the accuracy and reliability of results are dependant on several factors, including automated equipment, qualified staff, quality of reagents, and more importantly, susceptibility to errors and efficiency of the logistic system. In the Lab environment, the ability to locate specimens and transport them in a timely manner is absolutely critical. To assist with this, CCL Lab’s reliable Logical Systems provide rapid communication, easy scheduling, and precision monitoring among field staff, client response, and care providers. With our unmatched state-of-the-art logistical system, your staff will be confident, even when dealing with high volumes and pressed for time, that the right specimens are collected from the right patients, at the right time, and transported in a timely manner to ensure correct and accurate results. Mobile PCs – Without mobility, managing, tracking and verifying specimens is fraught with manual steps that introduce the potential for dangerous errors. Moreover, long paper trails allow for errors at each point in the tracking process. Mobility eliminates errors from illegible handwriting and incorrect information written on lab orders to ensure that the right patient gets the right blood draw. Barcode Scanners – Field techs and Point-of-care centers employ barcode scanners to electronically stamp the collection with identifying information including pick-up and drop-off times. In addition, this provides double and triples checks when collecting and identifying patients, specimens and fulfilling blood drawing orders. E-Signatures and E-Confirmations – Mobile Data Capturing for field techs and care centers ensures that information collected in the workflow process is stamped for quality control measures required for accurate results and precise audit trails for compliance with certification and accreditation. Advance Field Communication – Automates field tasks, increases visibility and adds control across various functions of dispatching, monitoring and field scheduling to assure that missing specimens, errors and deterioration of specimens due to transport delays will be virtually eliminated. Real-time Order Tracking – Mobile Data Capturing, Barcode Scanning and Advance field communication provides care centers with accurate and real-time monitoring for order status, lab results, blood draws, Stat and routine pick-up times – eliminating callbacks and schedule delays. The CCL Lab team comprises of a highly skilled, experienced, and dedicated staff reflecting the core values of the company. In our quest to build a strong knowledge base, our team of MDs, PhDs, MScs and technicians are subject to both in-house and external training programs to keep abreast with the latest technologies, standards and developments in the diagnostic industry. Expectedly, we work with only the latest from names such as Beckman, Abbott, Siemens, BioMerieux, etc., – all top-of-the-line brands that have made waves in the fields of Chemistry, Hematology, Immuno assays, Molecular biology & Microbiology. 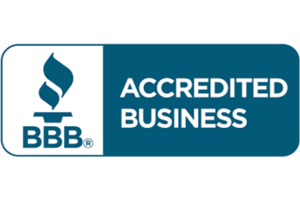 Needless to say, CCLLAB adheres to rigorous regulatory standards in the industry, this includes the accreditations and certifications from the organizations such as CLIA and AAB. In addition, it conducts regular audits to evaluate compliance with all applicable laws and standards.